We guide you through the most picturesque YS Falls. 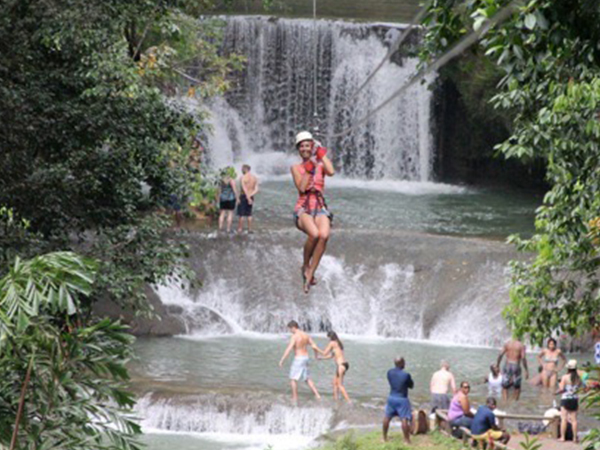 Go ziplining for $40 and scream like Jane & Tarzan of the jungle. Visit Appleton Rum Factory or enjoy a private horseback ride. 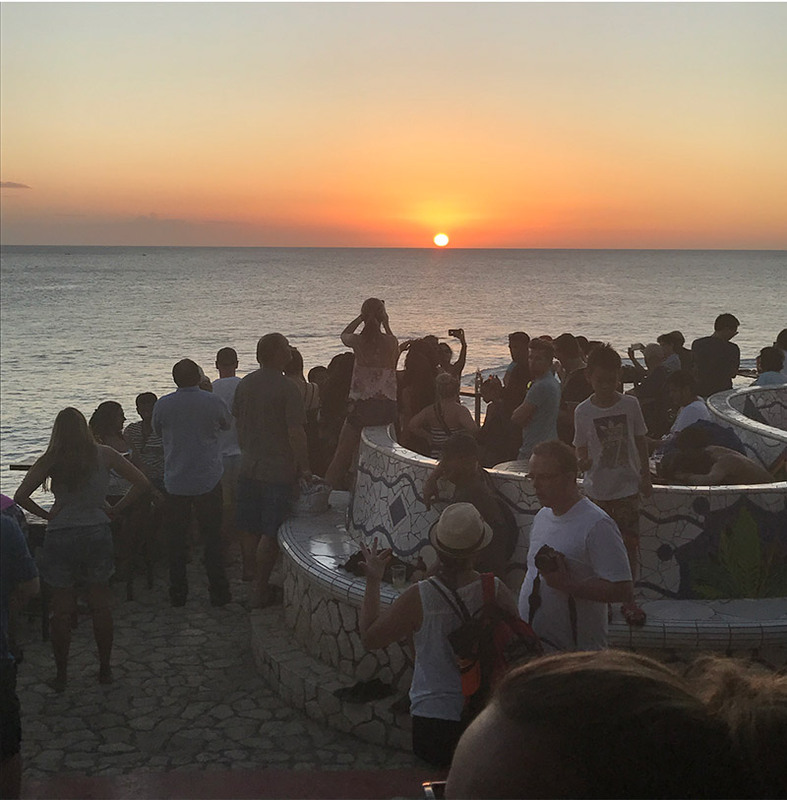 Travel to Negril & enjoy The Ricks Cafe Sunset. The tour offers a true Jamaican Experience of the flora & fauna. This 1.5 hour pontoon boat tour is truly memorable to everyone. You will enjoy sight-seeing at its best as you navigate the south coast of Jamaica both on a bus and boat. Learn about the lower moras, how the wildlife of Jamaica functions and the vast contribution that our wetlands & eco-system offers even to the invaluable protection of our most beautiful beaches. The boat tour up the river is captivating. Birds of many variety like the Snow Egrets with gigantic necks similar to the flamingos, the American crocodile visibly seen with its babies & larger dominant crocodiles in their own territory are all captured on this tour. Other attractions are the beautiful and enormous Red Mangrove trees with their skeletal-looking roots hanging down over 30 feet to the dark and lurk full brackish water where these trees gets their food source through these giant roots, is mind-blowing! The Black River region is very famous as it was a well known settlement for the Germans when their boats went aground in the early centuries of migration to Jamaica. One known boat the “ Helme” was a profound stature in the black river bay until recently the metals of the ship was scrapped out of the water. Black River town was also ahead of New York City for electricity as well and the Jamaican dollar was also ahead of America as a stronger currency. The tour is definitely an educational piece and you will be more acquainted with a typical fishing village and how locals survive on the seas & rivers of Jamaica. The Whitehouse fishing village is one of our stops to the black river boat tour and it reinforces the importance of the fishing industry to Jamaica’s economical & social well-being. WHERE DOES THE TOUR TAKE US? The pickup starts at 7:30am both from Negril & Montego Bay depending on where you are staying. 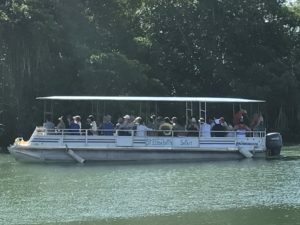 Travel to Black River Safari and arriving 9:00am which allows you to enjoy the first boat ride before the crowd arrives at 10:00am. 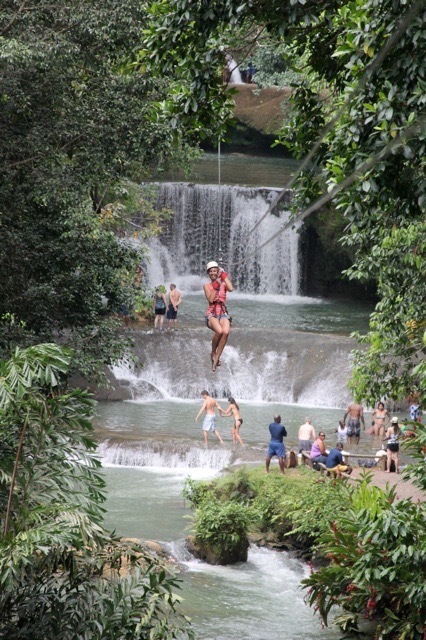 At 10:30am you move on to Appleton Rum Factory ( extra cost) or as per schedule, over to the YS Falls for the most amazing waterfalls in Jamaica. After lunch we travel to reggae horseback and ricks cafe in negril for the sunset. 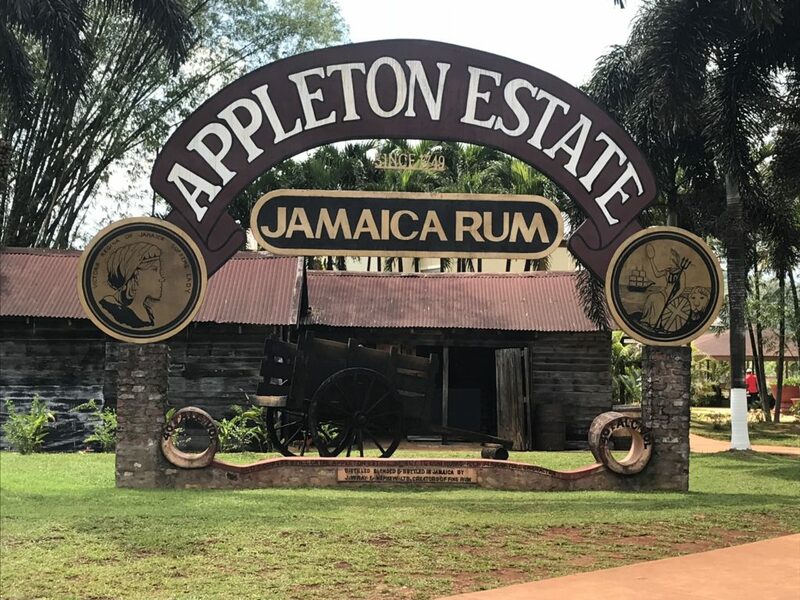 The Appleton Sugar Estate is Jamaica’s oldest Sugar Estate & distillery in operation crafting this delicious rums with the warmth, passion and unique spirit of Jamaica for over 265 years. This Estate is nestled in the Nassau Valley of St Elizabeth and our famous Cockpit Country where the first production of rum was in 1749. This authentic Appleton rum is perfected by our Jamaican master blender who is the first woman to be appointed Master Blender in the world. All our rums are produced on the estate and is one of few rums in the world to claim the title of “terroir “-a set of unique weather, soil & geographic demarcations that makes Appleton Rum so unique. If you choose to opt out of the Appleton Rum Factory you will partake in Reggae Horseback Riding instead. You can learn more about reggae horseback riding here.